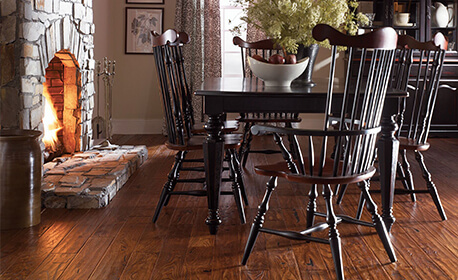 Homes with hardwood floors, whether new or old, are beautiful. 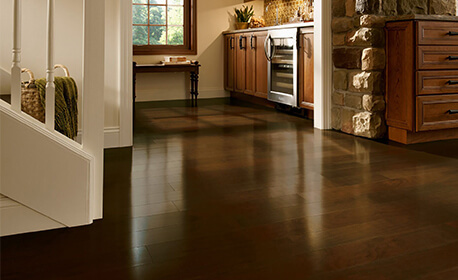 Floors with dark rich looking wood or even those that are light colored are magnificent. 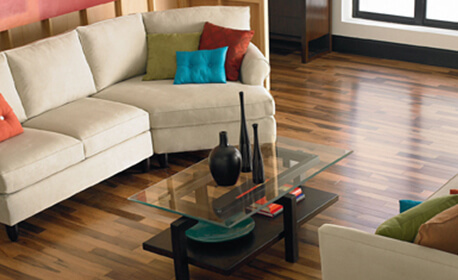 Hardwood floors can give a house that look of being expensive or may give it that look of hominess. 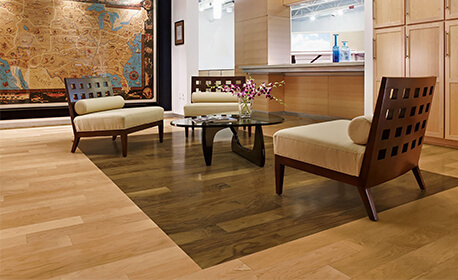 When decorating with Hardwood consider the color, species, grain visual, board width, board thickness, gloss level and the edge style. 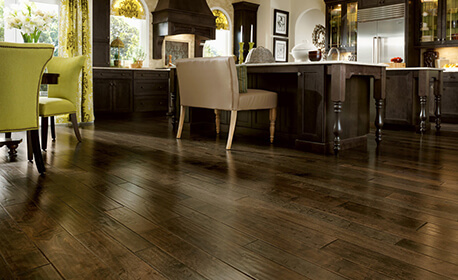 Also consider laying down an area rug to liven up your wood floors. There are many things you can do with rugs when you have hardwood floors throughout your home. They are easy to put down for the fall and winter and easily picked up and stored in the spring and summer. Rugs can be changed out easily these days with all the shapes, sizes and material types. You can even find specially designed rugs that are perfect for kitchens and utility rooms to protect your beautiful floors. 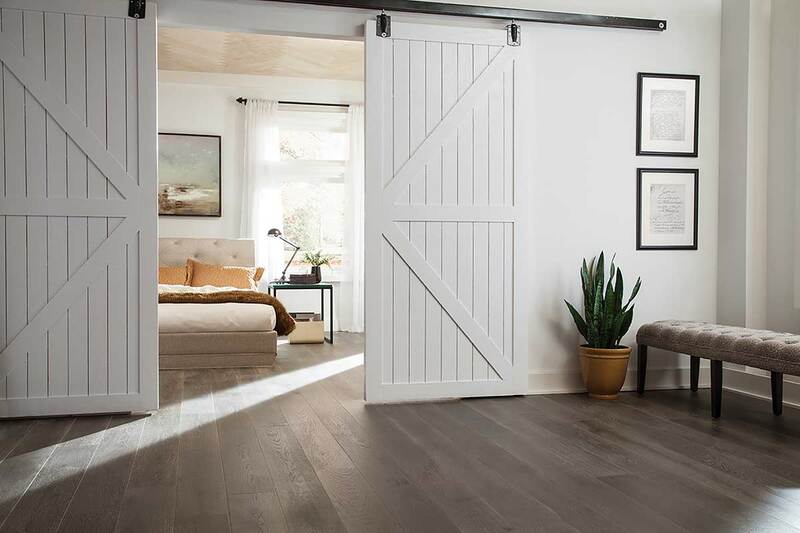 Wooden floors that are left bare may dictate a certain type of option for interior design while those covered in throw rugs and other adornments will require another. How the room is to be used will determine how the interior design will go. A room with wooden floors that do not have a lot of foot traffic may only require a comfortable chair or lamp and can maintain a minimalist’s approach to design. 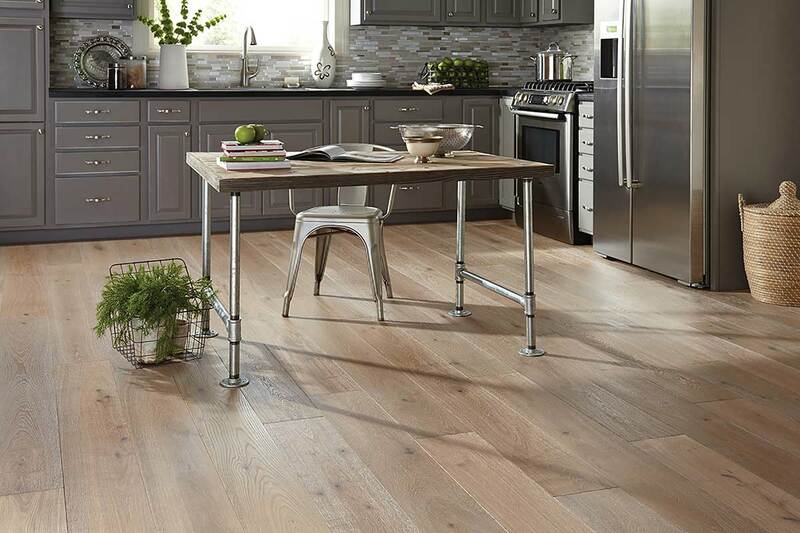 A wood floor interior that is a central place for your family may require more planning and furniture options to meet your design goals. 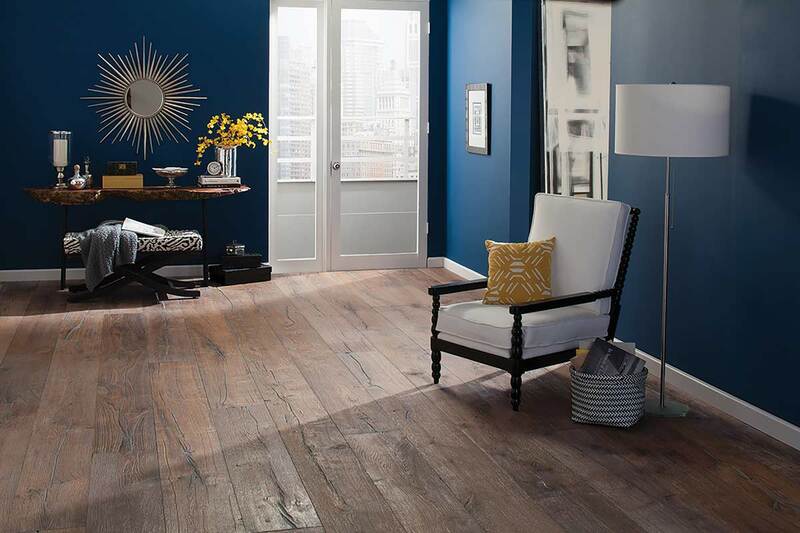 Design Element – Think of your hardwood floor as a design element. 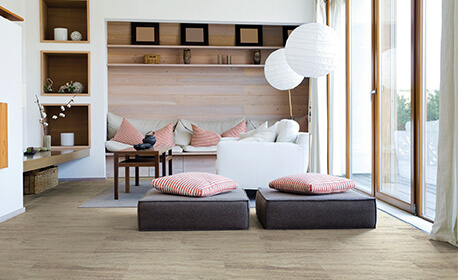 Your flooring can tie rooms in your home together and allow your decorating scheme to work from one room to the next. 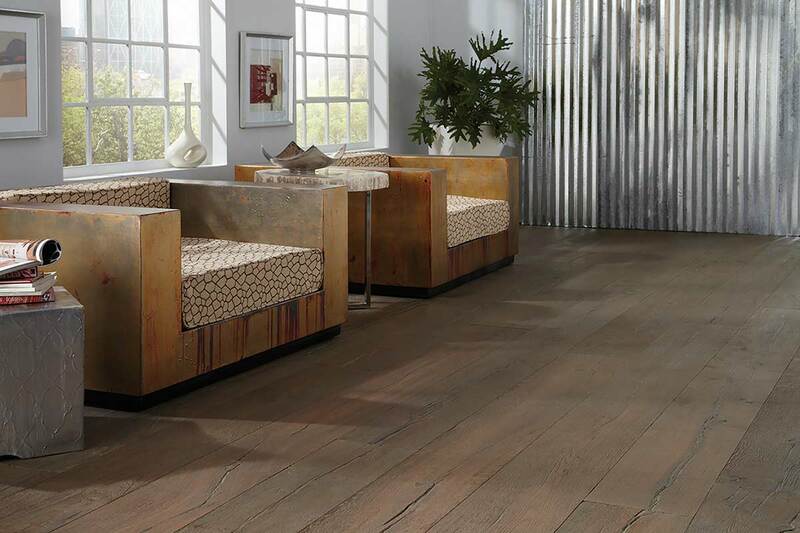 Think of the hardwood floor as another wall in the room — it needs to complement the existing furniture and walls. 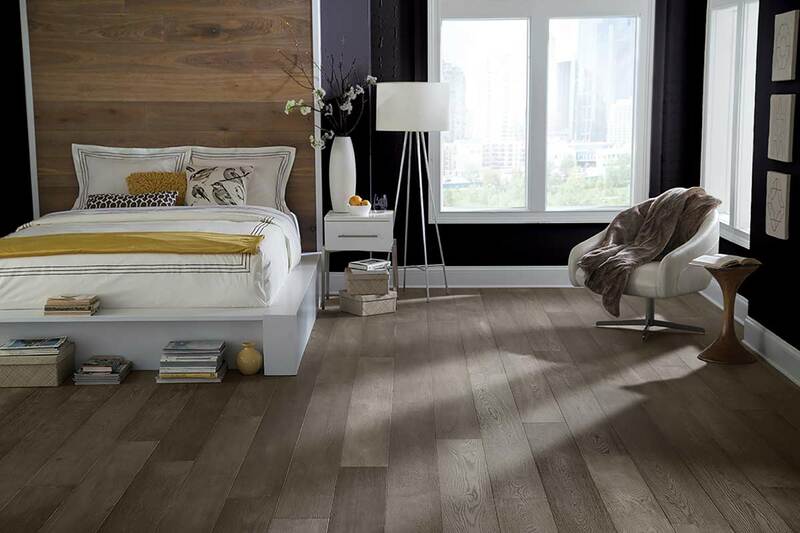 Darker woods – If your room has a lot of natural light, or if you want a more formal look, you may want to consider a darker flooring. 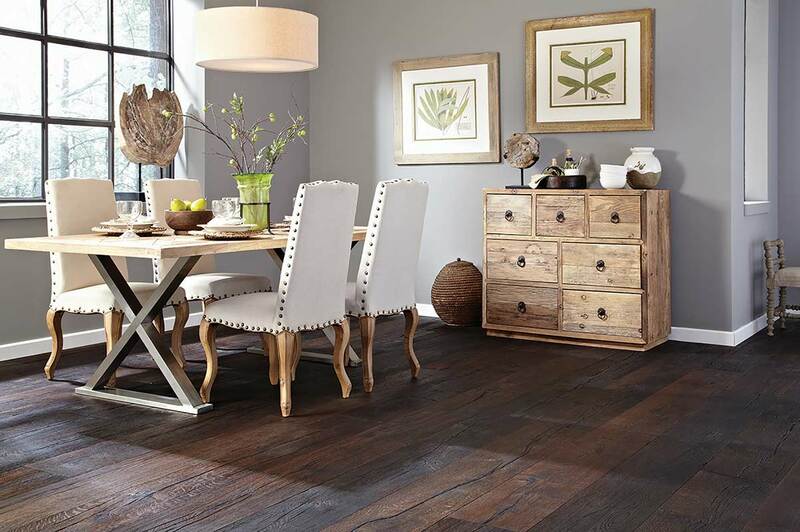 Darker colors found in the exotic woods can add a beautiful richness and sophistication to any space. 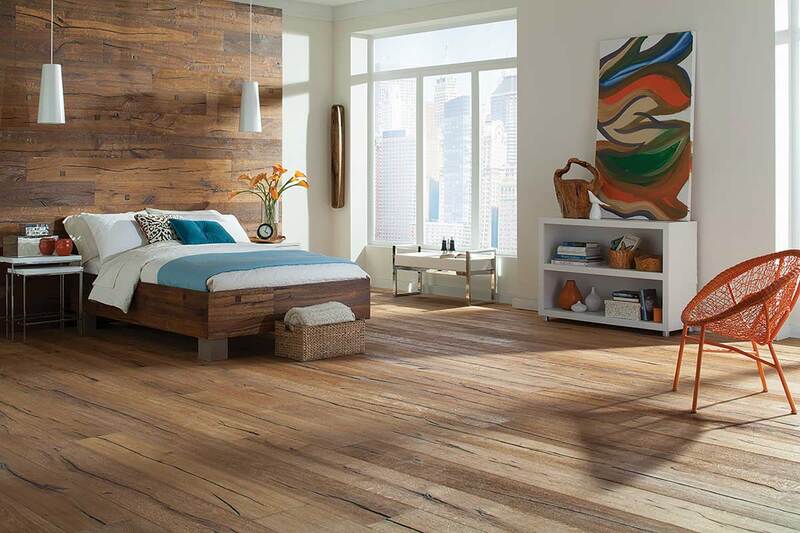 Lighter woods – If your room does not have natural light, a lighter toned wood can help brighten it up. 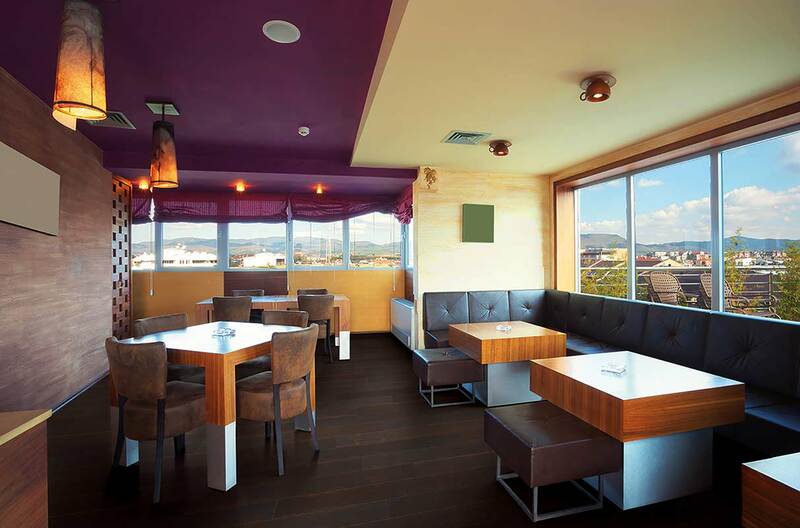 Lighter colors offer a more casual look found in many country and contemporary decorating schemes. 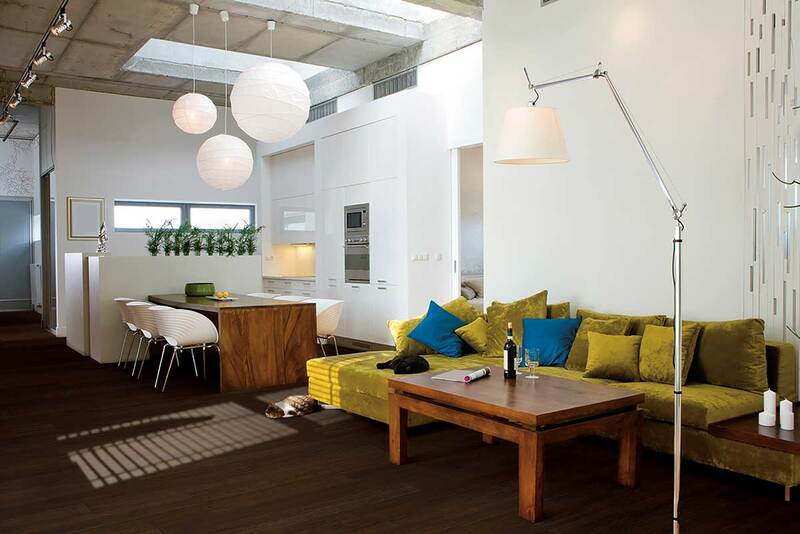 Also, choosing a lighter, more neutral color will work more easily with a broad range of color schemes. Edge treatments – The edge treatment of your boards is another consideration. A square beveled board, which does not show seams, conveys a more formal and contemporary look, while a beveled board, which shows the line between each board, is more relaxed and casual. 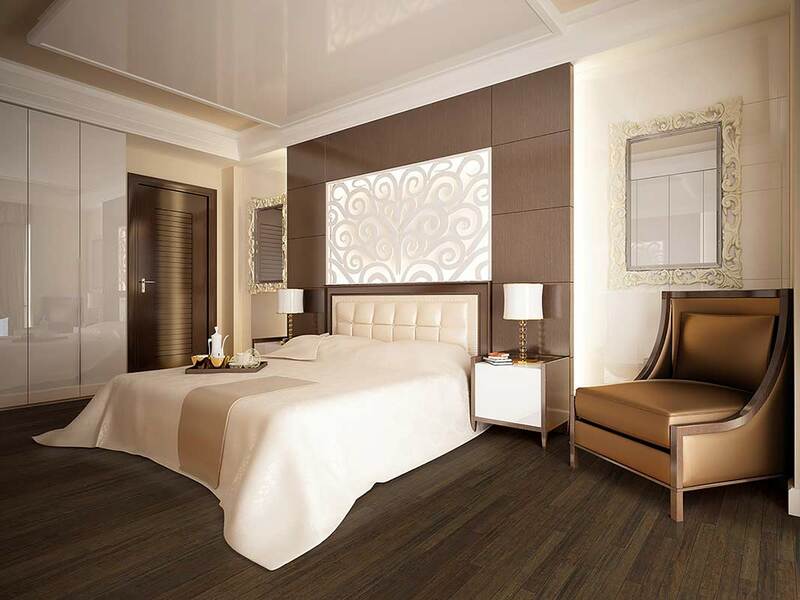 Board width – When you choose your board width, you should consider the size and scale of the room in which it will be installed. 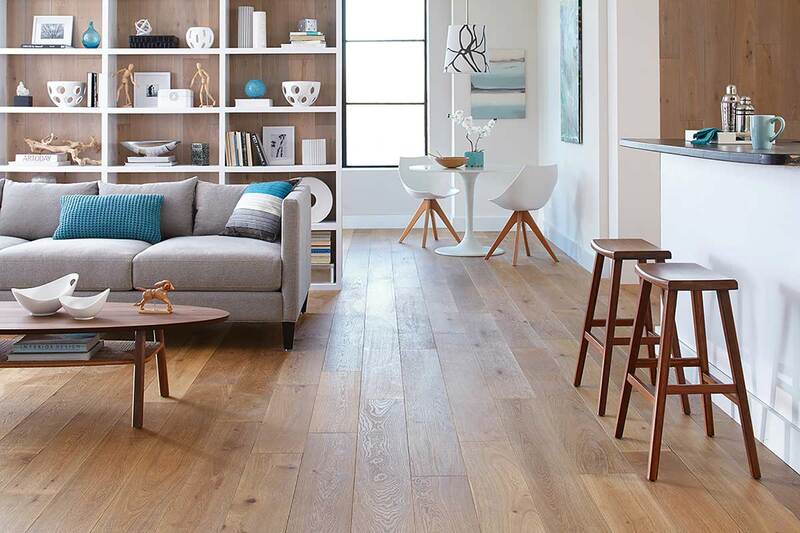 Wider boards can make a large room appear smaller and more cozy. 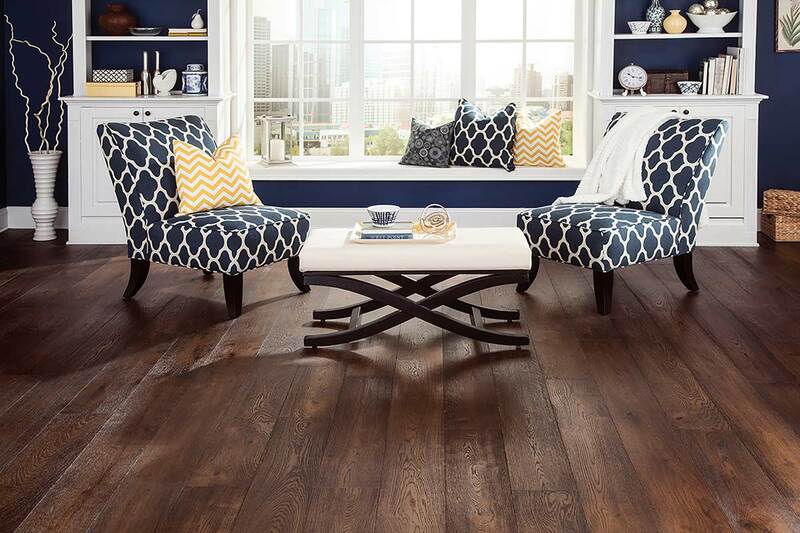 Wider boards can also make a bold grand statement in any room. Wider boards seem to come forward in a space. 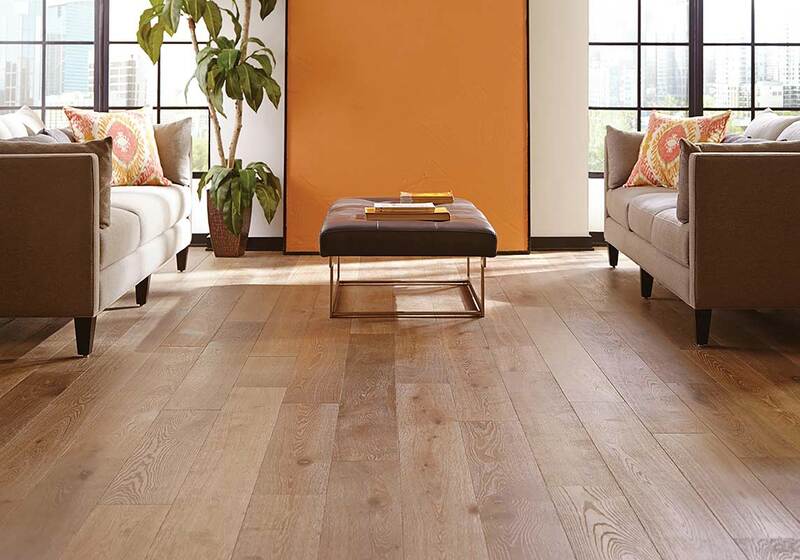 Conversely, a smaller room can appear larger by using narrower boards which tend to recede. 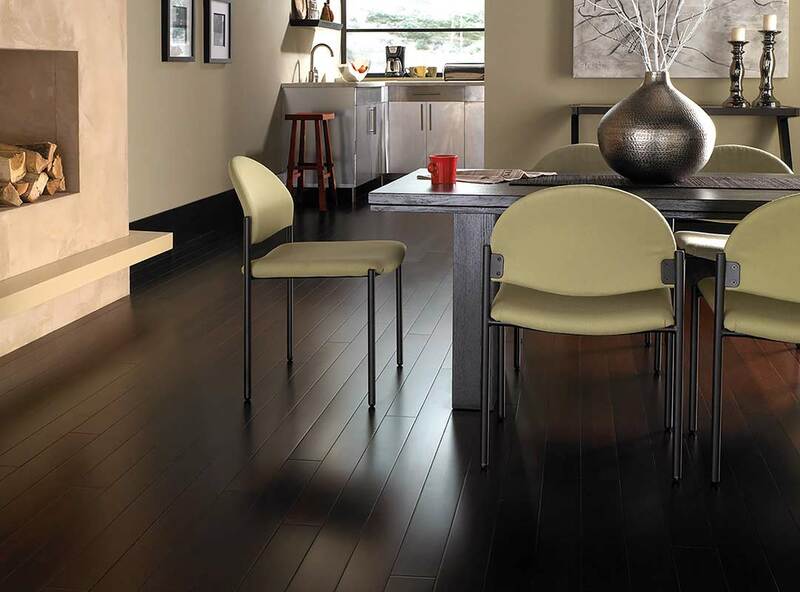 Borders and accents – Your hardwood floor can be made unique a number of ways. Create an inset border around the perimeter of the room using a board of a contrasting color. It’s an inexpensive option. 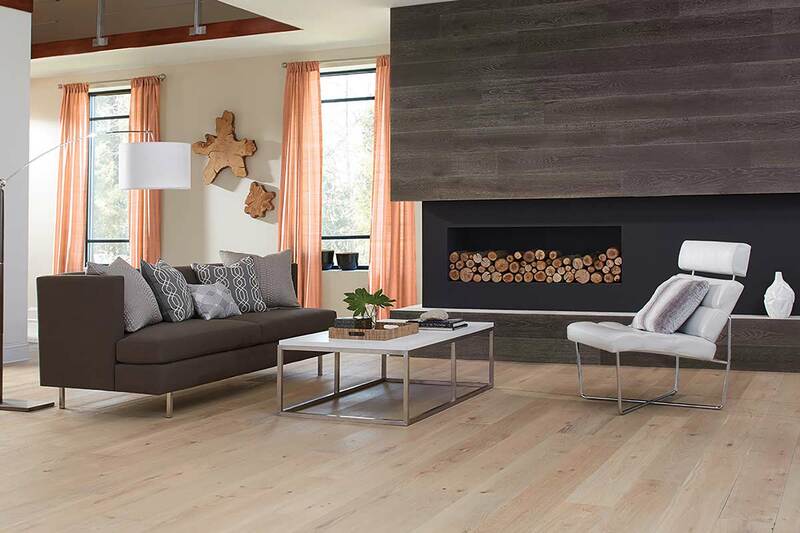 Designers have created more elaborate statements by mixing board widths, using domestic with exotic species or integrating hardwood with marble, stone or tile within the same floor. 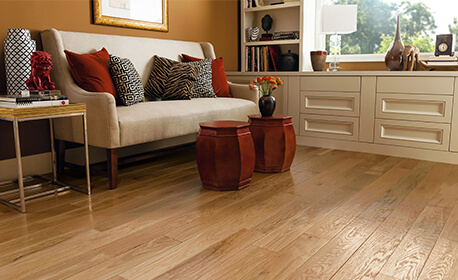 Patterns – Floorboards can be installed on a 45-degree angle. This diagonal helps pull the eye through the space, making the room feel larger. They can also be installed in a herringbone pattern.